Dr. Jaime Cardenas earned his PhD from the University of Alabama in Huntsville in Optical Science and Engineering. His research was in single air interface bends and waveguide microcantilevers. After two years as a process engineer, and three years as a postdoctoral researcher in the Cornell Nanophotonics group, Jaime continued with the Lipson Nanophotonics Group as a research scientist at Columbia University in June 2015. 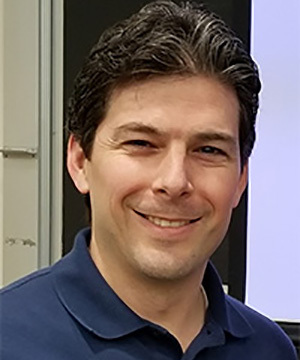 Professor Cardenas research focuses on integrated photonics, nanophotonics, and nonlinear photonics. His group tackles high impact challenges using nanostructured devices on a chip. Current research is focused on four main areas: photonic packaging, 2D materials integrated photonics, nonlinear photonics, and on-chip quantum photonics. You can find more information about the Cardenas Lab in the group’s website.